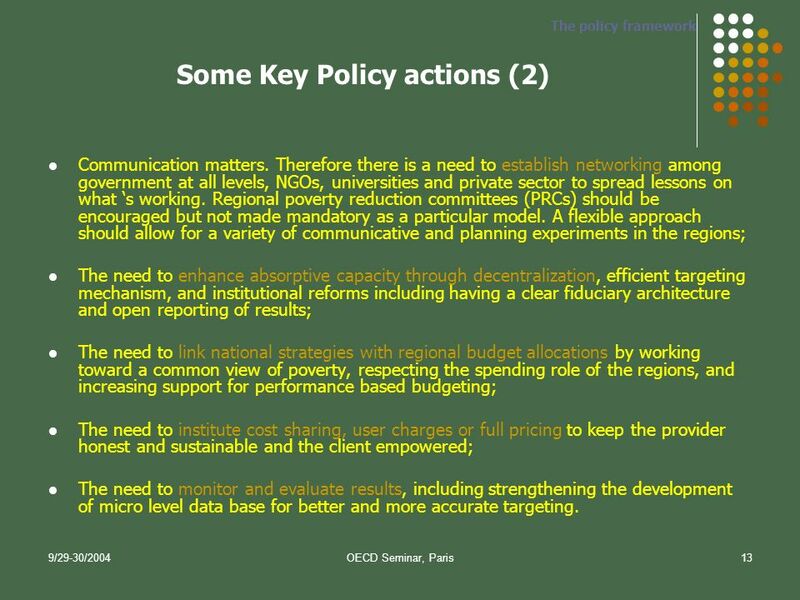 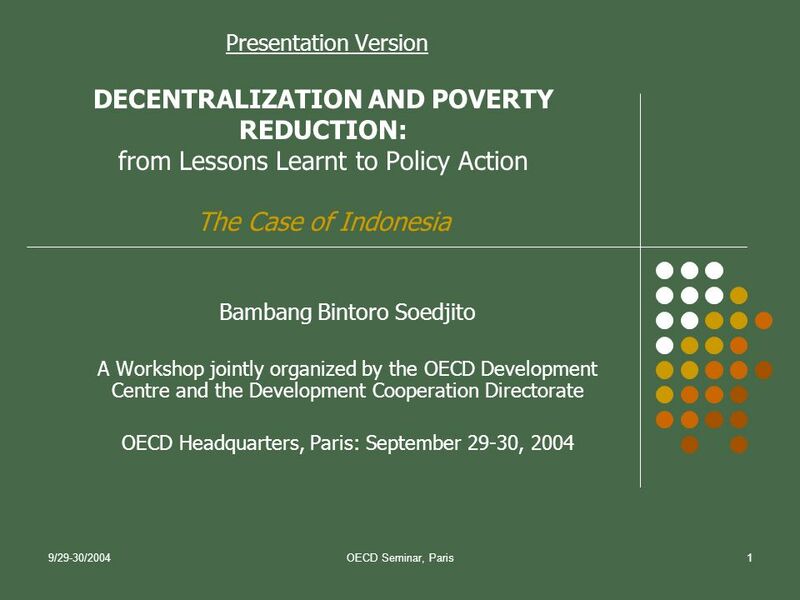 9/29-30/2004OECD Seminar, Paris1 Presentation Version DECENTRALIZATION AND POVERTY REDUCTION: from Lessons Learnt to Policy Action The Case of Indonesia. 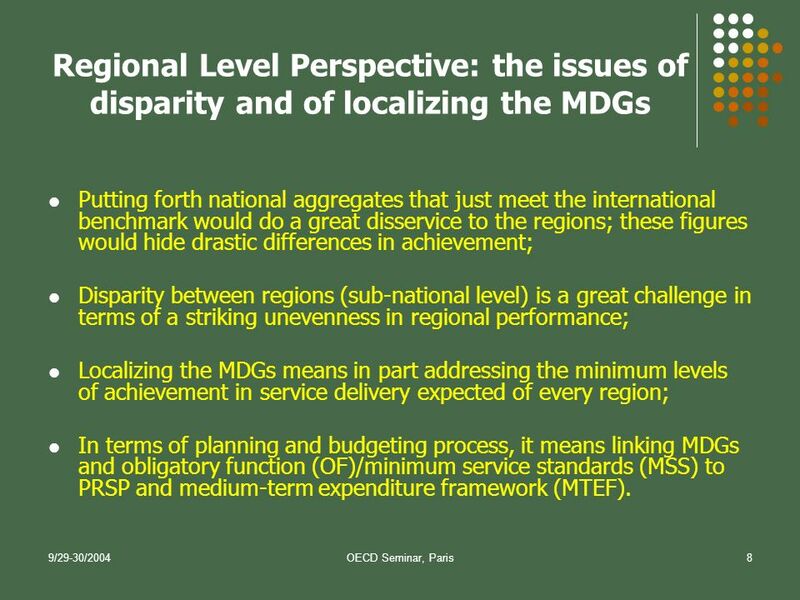 8 9/29-30/2004OECD Seminar, Paris8 Regional Level Perspective: the issues of disparity and of localizing the MDGs Putting forth national aggregates that just meet the international benchmark would do a great disservice to the regions; these figures would hide drastic differences in achievement; Disparity between regions (sub-national level) is a great challenge in terms of a striking unevenness in regional performance; Localizing the MDGs means in part addressing the minimum levels of achievement in service delivery expected of every region; In terms of planning and budgeting process, it means linking MDGs and obligatory function (OF)/minimum service standards (MSS) to PRSP and medium-term expenditure framework (MTEF). 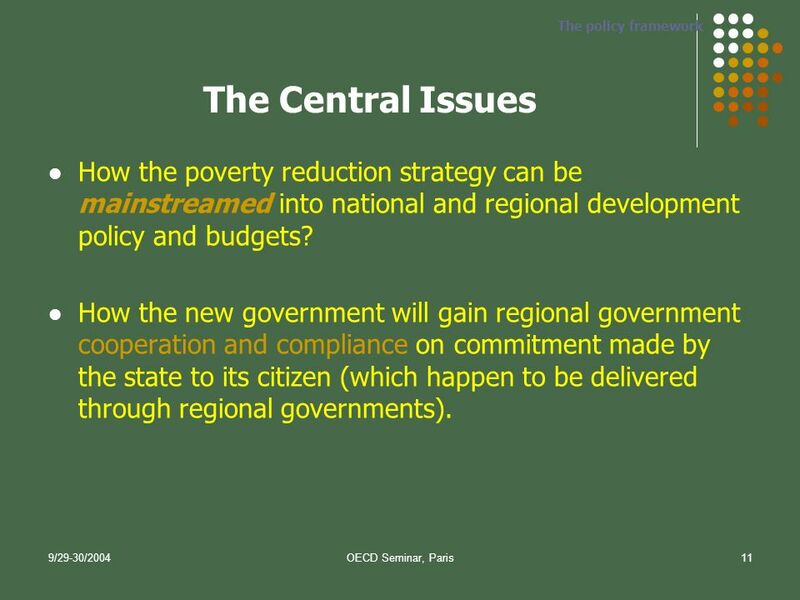 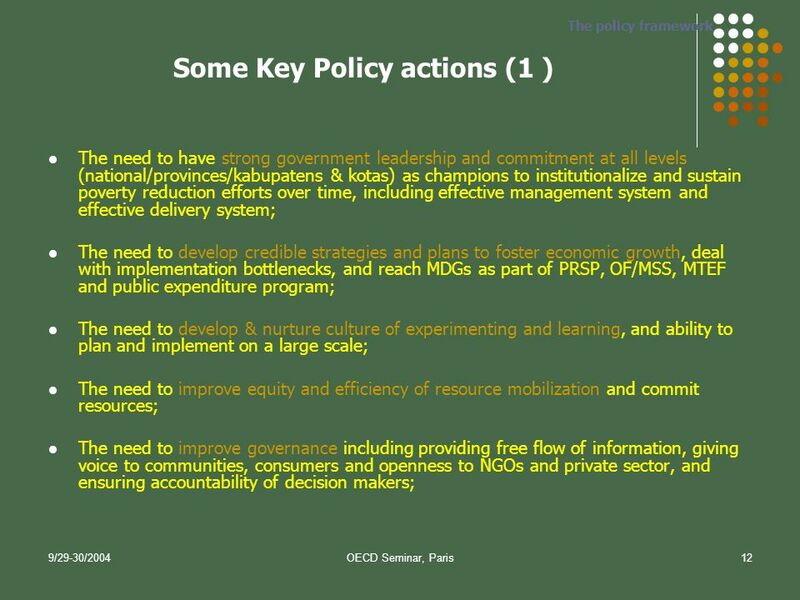 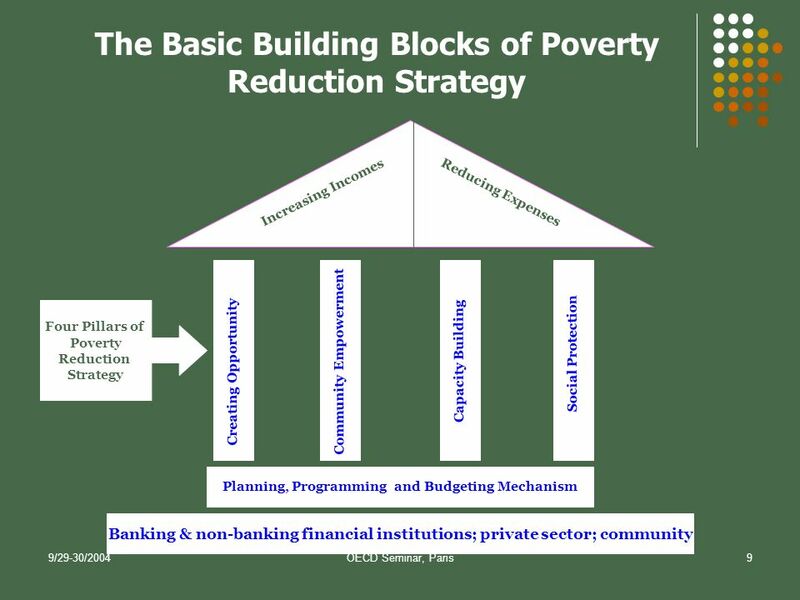 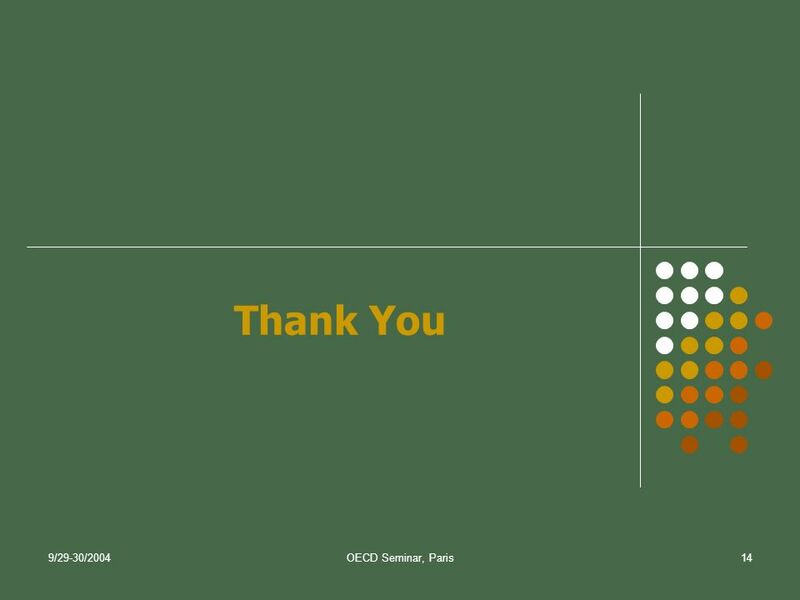 Download ppt "9/29-30/2004OECD Seminar, Paris1 Presentation Version DECENTRALIZATION AND POVERTY REDUCTION: from Lessons Learnt to Policy Action The Case of Indonesia." 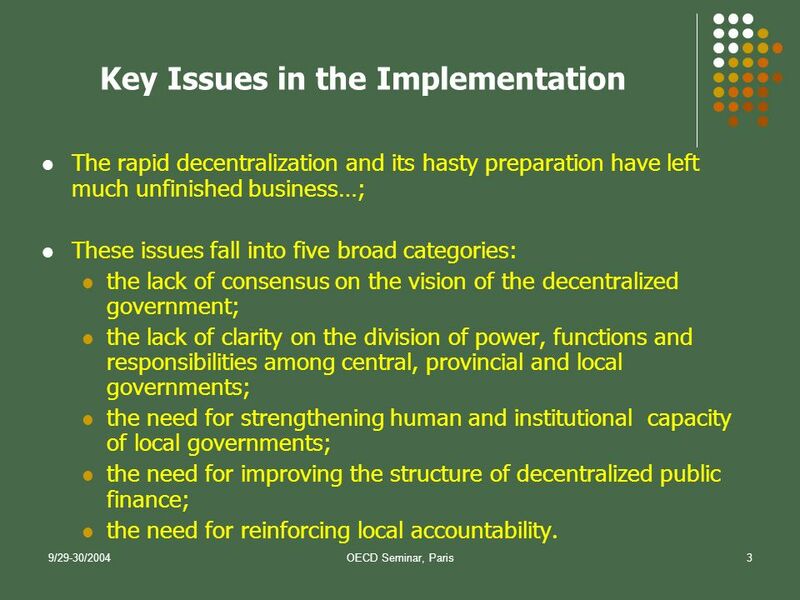 BSEC Working Group on Institutional Renewal and Good Governance March 26-27, 2007 Istanbul The Black Sea NGOs Network. 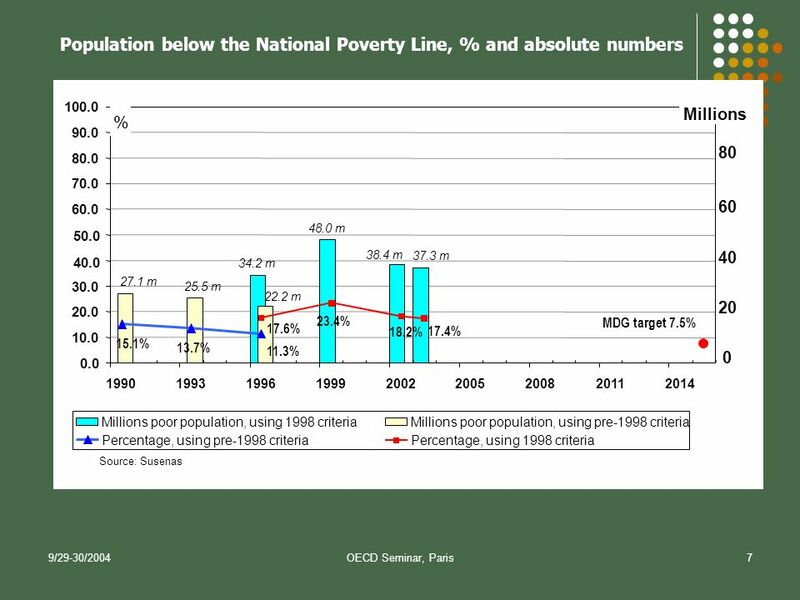 1 The role of NEPAD in improving quality and effectiveness of aid for Agricultural development Amadou Allahoury Diallo Senior Water Specialist NEPAD. 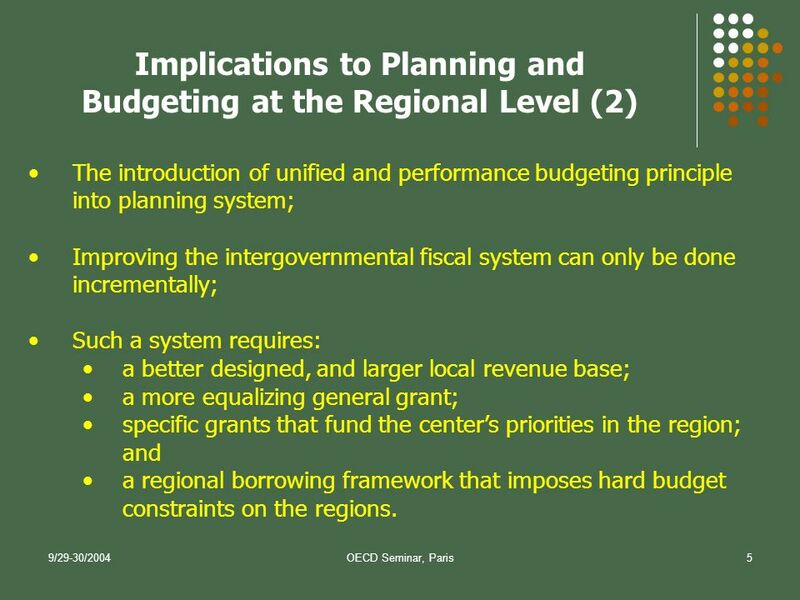 The Role of Governments in Financing Water and Environmental Infrastructure Improving Management of Public Environmental Expenditure Global Forum for Sustainable. 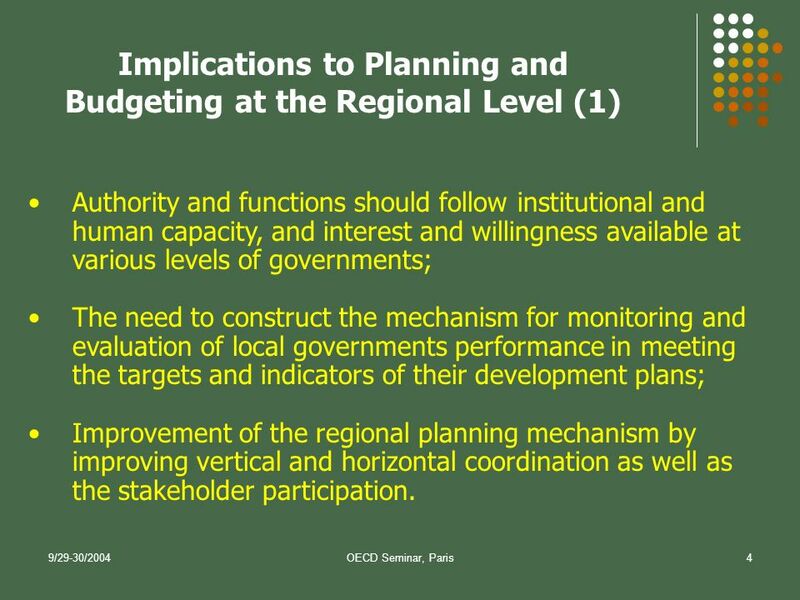 NATIONAL STATISTICAL COORDINATION BOARD r.a.virola 29 june 2007 BUILDING STATISTICAL CAPACITY TO MONITOR THE PROGRESS OF SOCIETIES DISCUSSION By Romulo. 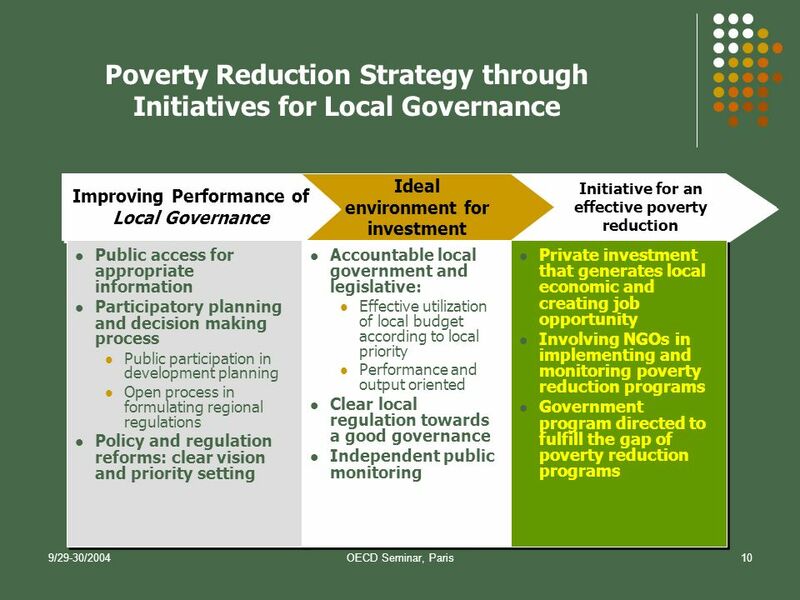 RESULTS BASED PARTICIPATORY BUDGETING South-South Partnership Programs and Peer-to- Peer Learning.